Kyle Lauletta is the breakout football star whose energy and dexterity on the field of play is quite astonishing. Just like many kids who developed a passion for the sport, Kyle had moral support from his family as some of the males in the family played football at different levels. Lauletta started out his career at Downingtown High, where he threw an impressive record-breaking 10,465 yards as well as 73 touchdowns. In his senior year in college, after playing the 2018 Senior Bowl, he made three touchdowns, threw for 198 yards and was named the MVP of the game. Currently, he plays quarterback for the New York Giants of the National Football League (NFL). Kyle Lauletta was born in Exton, Pennsylvania on the 27th of November 1995. He comes from a family of football players which played a major role in his interest to tow the same path. His father and uncle played punter and quarterback for the Navy, while two of his brothers once played quarterbacks for the Downingtown East. For his high school education, he attended the Downingtown High School located in Downingtown, Pennsylvania. He signed up for both football and the game of lacrosse. In his very first game, Laulette performed well to the amazement of his coach when he ran for two touchdowns and threw for 400 yards. He had a very exciting run in high school but he experienced a major set back when an off-season injury or what can be said to be bad luck, prevented any premium FBS (Football Bowl Subdivision) from considering him for recruitment. As a result of this minor set back, Laulette chose to settle for Richmond college. While in college at Richmond, Lauletta played quarterback for the school’s team from 2013 to 2017. Within that period, he had another major injury in which he tore his Anterior cruciate ligament (ACL) in 2016 when he was involved in a quarterback scramble which led Richmond to an 8-2 record on stoppage time. Luckily for him, his recovery was swift as he was able to return to the game in 2017 which happened to be his best season in terms of performance statistics. He is now signed to the New York Giants and he is reported to be the 108th pick in the 2018 NFL Draft. With his new team, Lauletta sure hopes to continue his impressive run as a quarterback for the team where more accolades and laudable reputation is anticipated to be earned. It’s no hidden secret that most contact sports tend to be very lucrative and rewarding for both athletes and manager, and football players are among the top earners in sports with payouts ranging from thousands of dollars to millions. This financial earning, therefore, afford famed athletes the ability to acquire luxury assets or possessions, be it homes, cars, jewelry among other great things. Kyle Lauletta is sure smiling to the bank and has been doing so ever since he started playing the sport. For his recent career move having signed a lucrative four-year contract with the New York Giants, it is on record that this deal was worth $3,167,700 of which Lauletta received a $707,700 signing bonus. In terms of his current estimated net worth, there is no formal data available yet. American Football entails a lot of running around and into other players much like being hit constantly by a moving object. Therefore, aspiring athletes are usually expected to be of considerable build or have some pertinent body structure including height and weight, as these features would help them withstand the most brutal impact from time to time on the field of play. 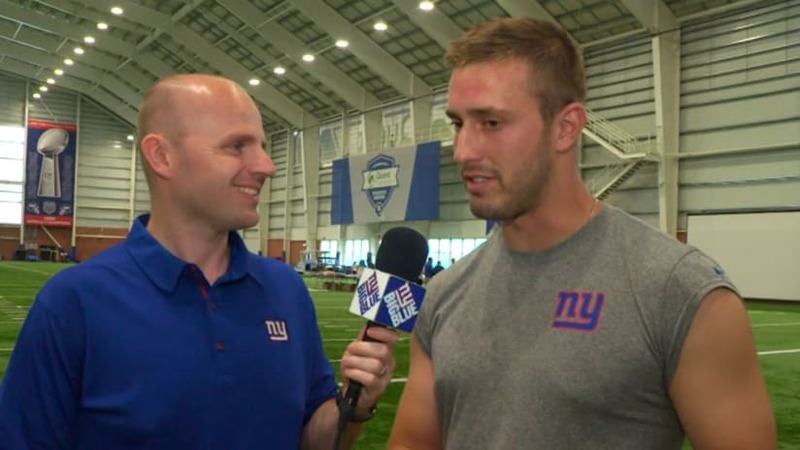 With Kyle Lauletta, though he may not be as muscular or as heavy as most typical football players with a weight of 100kg (224 lbs), he still possesses the average build and strength to deliver on the game. More so, standing at a height of 6 feet 2 inches (1. 91m) which is a very tall height, we say he is well suited to hold his own anytime he steps on the field to play the sport.